1.Blend ginger,garlic and small onions and make a paste form. 2. Mix all the spices,gram powder (Kadalamaavu), salt and ginger & garlic & small onion paste. Make a thick paste. 3. Marinate spice paste on the fish stakes evenly. 4. 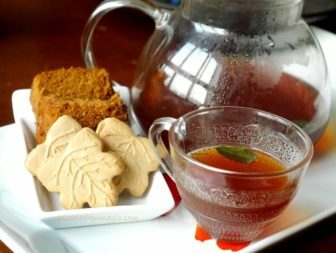 Refrigerate 30 minutes to 1 hour. 6. When its hot enough add fish pieces one by one. 7. 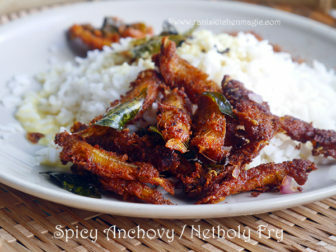 Fry fish pieces until both sides are golden and crispy. 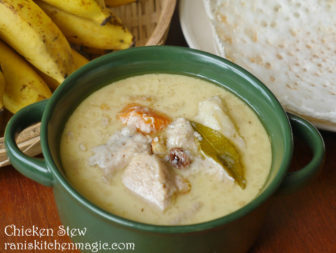 For Neymeen ( Seer Fish/King Fish ) Spicy Curry recipe please click HERE. 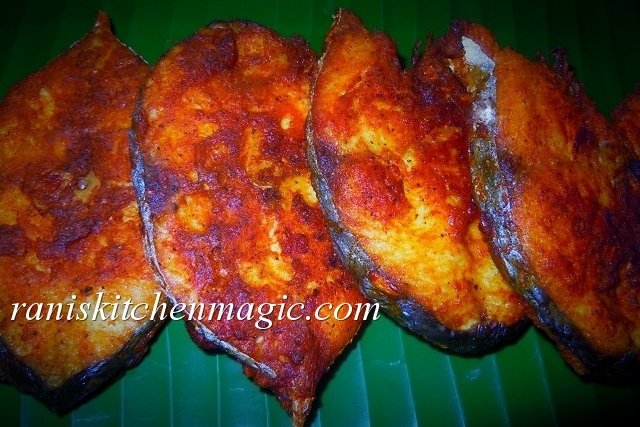 Share the post "Seer Fish/King Fish Fry (Neymeen/ Vanjarameen Porichathu)"
ithu kidu…..my favourite dish with lunch…..ithu kalakki rani…..
drooling here….fisf fry looks so tempting.. 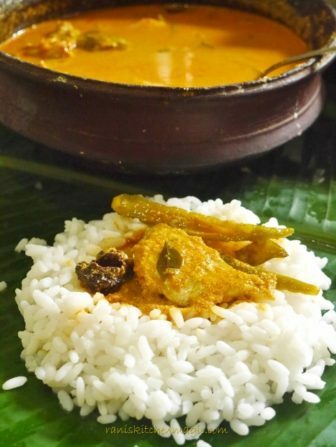 Simply Mouthwatering fish fry…Yum! Yum! Yum! !